This product range is now obsolete and no longer available from Vent-Axia. The information here is provided for reference only. Portable Air Conditioning units from Vent-Axia provide mobile comfort air-conditioning, dehumidifying or heating anywhere, anytime. Simply plug in and switch On. Perfect for domestic and light commercial use such as offices, shops and reception areas where permanently installed air conditioning systems may be too inflexible and expensive. The 3 in 1 unit is a self contained floor standing portable air conditioner which does not require a separate outdoor unit or specialist installation. 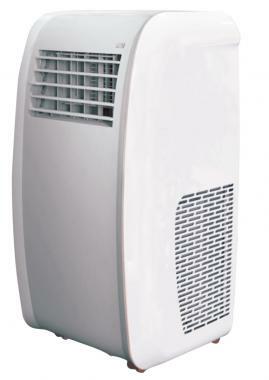 NEW: 3 in 1 unit floor standing portable air conditioner. Please call 0344 856 0590 for further availability information.